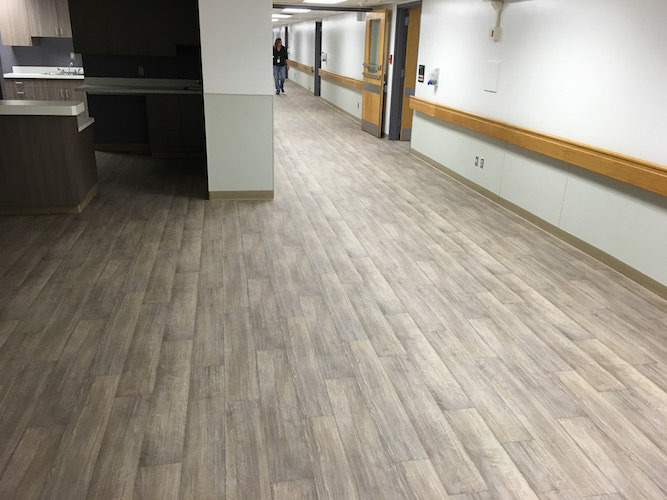 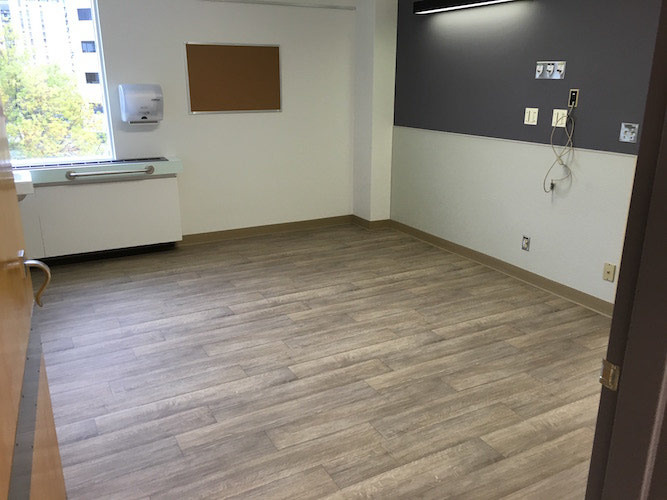 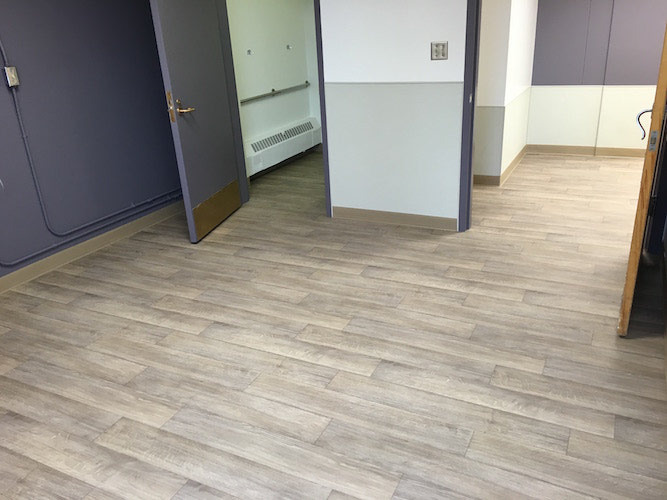 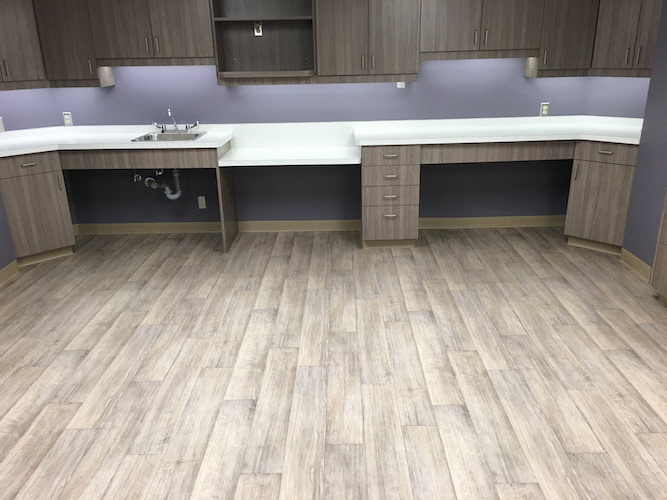 The recently renovated Edmonton General Hospital used Johnsonite Ruby Vinyl floor in the color Newport. 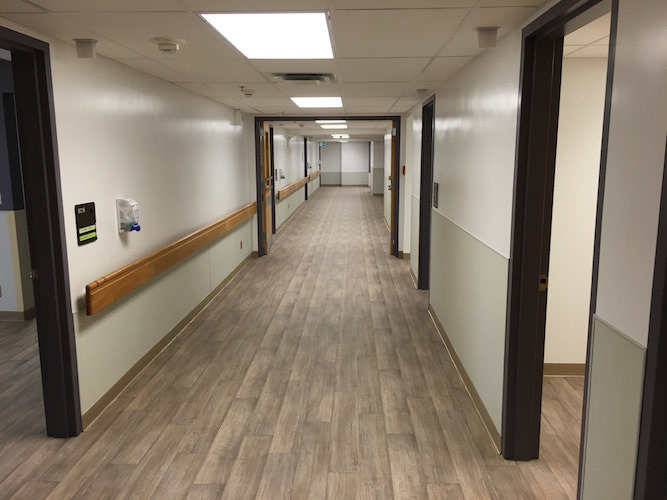 Working under extreme timelines round the clock we completed this project in record time. 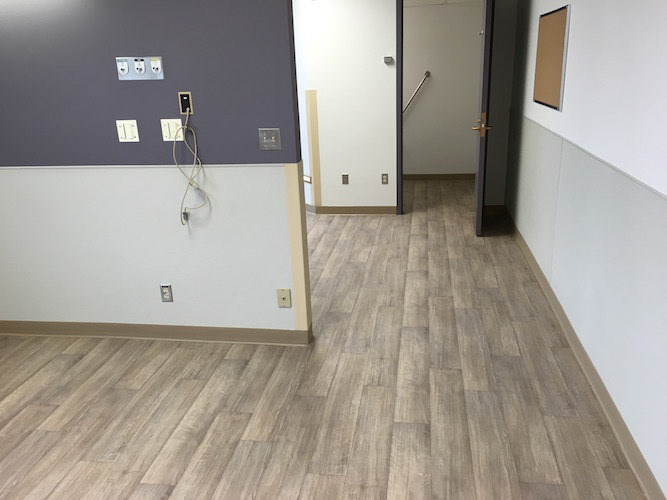 Project consisted of 4 floors and approximately 2220.95 square feet. 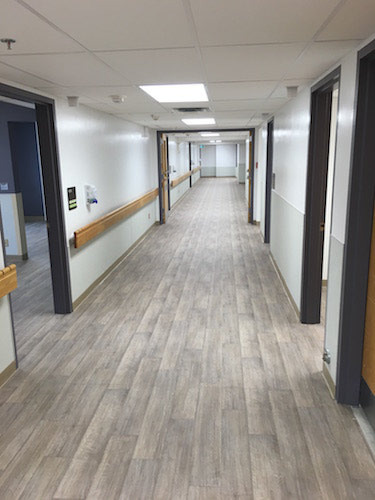 It is a high wear resistance and low maintenance vinyl sheet, reinforced polyurethane surface treatment, 28 mil wear layer added surface embossing bringing durability, easy maintence and slip resistance. 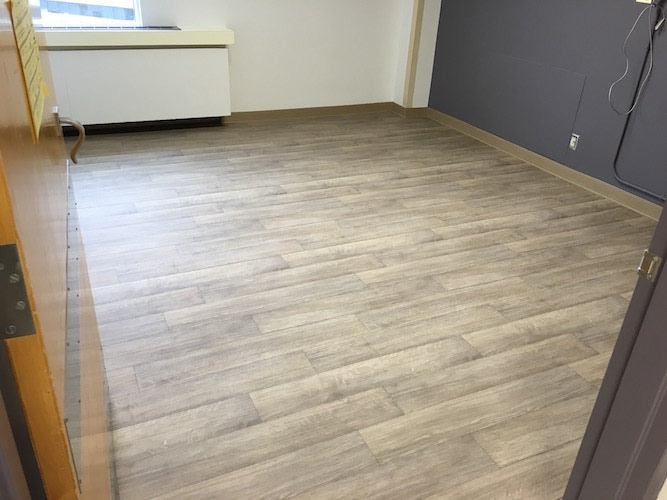 This material is a heterogeneous commercial flooring designed for heavy commercial interiors.